In 2002 Premium Crops were reviewing the cereal market in the UK looking for added value opportunities for farmers. In a chance telephone call from an Essex farmer, he informed us that he had grown Red Wheat without problem. Although the yield was lower than his conventional wheat, the extra value more than made up the difference. After further research into Red Wheat varieties, values and agronomics Premium Crops agreed that this was indeed an opportunity for UK farmers! Since 2003, Premium Crops have been developing the crop with agronomy trials, working with millers and securing the best varieties. Now newer varieties like Infinity and Faller have a yield advantage over AC Barrie and have now taken over. 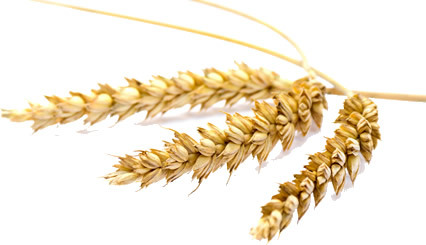 The strength of Red wheat is in the protein and the quality of the protein. Red wheat is a full 3% to 4% higher in protein than Class 1. Also the strength and elasticity of the protein (gluten) is also superior. This means it can trap more gas in bubbles in the bread, created by yeast during fermentation, allowing the bubbles to expand further, making the loaf larger. Red wheat has become an important niche wheat, giving growers a late sown option, perhaps after sugar beet or as part of a black grass control strategy. The highest and most consistent Red wheat yields have come from mid-March onwards planting, with April drilling not unusual. With little or no yield advantages from drilling Red Wheat early, the pressure to get crops established in less than ideal conditions is greatly reduced.